I’ve been invited to join Raken by my GC. How do I get started? 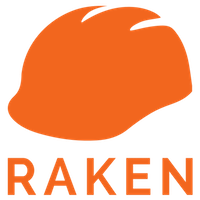 If you’ve been invited to collaborate on a Raken project, all you need to do is open up the email from us, and click “Let’s get started”. You’ll be taken to our website where you’ll be prompted to set up a password and fill out some information. Once you’re set up, feel free to download our app from the Apple App Store or the Google Play Store. Super Daily - Accepting an invite from Raken on Vimeo.